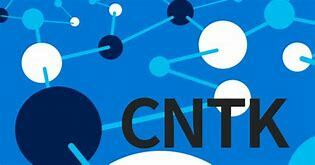 I just got introduced to CNTK and this my attempt to learn the CNTK from the ground up. Below we assume Anaconda is installed and that it is listed before any other Python installations in your PATH. If you plan on using a GPU enabled version of CNTK, you will need a CUDA 9 compliant graphics card and up-to-date graphics drivers installed on your system. Above link has all the next steps..
cntk-2.0-cp36-cp36m-win_amd64.whl is not a supported wheel on this platform. Installation failed – the reason was because I needed to install anaconda version matchin python 3.6 before the CNTK install. After I did that it worked. I highly recommend doing this step rather than downloadign them separately from Github. The reason is that when it install the samples it also install the prerequisites. I got this error when I downloaded the samples from githuib. The environment wasnt setup correctly. I tried installing image, pillow and PIL but that didnt help! It still didnt fix it till I installed the CNTK samples. ValueError: Specified GPU device id (0) is invalid. I commented out the following line in \CNTK-master\CNTK-master\Examples\Image\TransferLearning\Transferlearning.py to make it work on CPU. And then I realized that this will smoke my CPU :). And it was using GPU for a reason. Just search for GPU in the python code and comment it out. Training 1195594 parameters in 14 parameter tensors. This entry was posted on February 22, 2018 at 11:01 pm and is filed under AI, CNTK, MICrosoft AI framework, Python. You can follow any responses to this entry through the RSS 2.0 feed. You can leave a response, or trackback from your own site.